Get ready to Olé the drama of Flamenco in this Orchestra of New Spain production illustrating the history of Spanish dance from Renaissance and Baroque period fandangos, folías, jácaras and toñas, leading to ‘escuela bolero’ and modern flamenco. 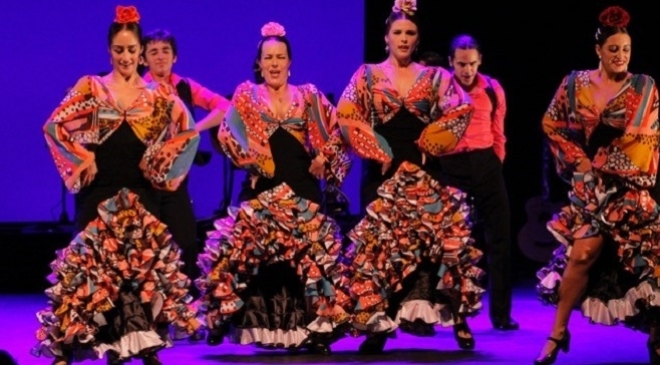 Choreography by celebrated Spaniard Daniel Doña will feature the Albuquerque National Institute of Flamenco’s Yjastros Flamenco Company. The New Spain baroque band will be on stage with flamencos to provide live music throughout the show. Educational opportunities will abound for DISD dance and guitar students in special workshops, and for the general public in open Master classes with our flamenco artists Daniel Doña and partner Cristian Martin.